During the last 30 years, the Japanese political economy system has experienced significant changes that are usually not well understood or analysed because of their complexity and contradictions. 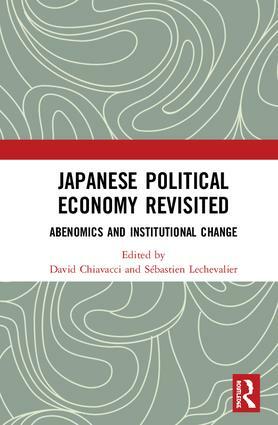 This book provides new analyses and insights on the process of evolving Japanese political economy including Japan’s current economic policy known as Abenomics. The first three chapters looks at evolutions at the corporate level, characterised in recent years by increasing firm heterogeneity. The authors apply theoretically driven analyses to the complex subject of corporate governance, human resource management and corporate reporting by discussing new developments in context of their economic opportunities as well as of their institutional contradictions with continuities in Japanese business practices. The second group of chapters deals with institutional changes and evolving economic reforms on the macro level of political economy. The two chapters focus on the financial system regulation and economic growth policies as two central elements of Japan’s political economy and key drivers in the evolution of its economy. Their analysis allows us to better understand the interplay between reforms and change in consumption credit and to reinterpret Abenomics as a manifestation of ongoing contradictions within the Japanese political economy. The chapters were originally published in a special issue in Japan Forum. 4. ‘Growth oriented’ corporate governance reform – can it solve Japan’s performance puzzle? David Chiavacci is Professor in Social Science of Japan at the University of Zurich, Switzerland. His recent publications include Social Movements and Political Activism in Contemporary Japan (Routledge 2018, co-edited with Julia Obinger) and Social Inequality in Post-growth Japan (Routledge 2017, co-edited with Carola Hommerich). Sébastien Lechevalier is Professor at the École des Hautes Études en Sciences Sociale (Paris, France) and President of Fondation France Japon (http://ffj.ehess.fr/). His research interests lie from Asian capitalisms to issues related to the role of the state in development and welfare. His recent publications includes The great transformation of Japanese capitalism (Routledge, 2014) and Innovation beyond technology: Science for society and interdisciplinary approaches (2018, co-edited with Yuko Fujigaki and Sandra Laugier).